Erick Le Pors, The Chef, in Dial A Chef is French born. 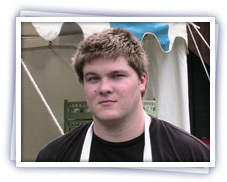 He learned classical cuisine at Lycée Chaptal (Quimper), and is the third generation to work in the restaurant industry. Erick came to Canada in 1978, where he worked in many prestigious hotels in Montreal, Vancouver, and Ottawa. 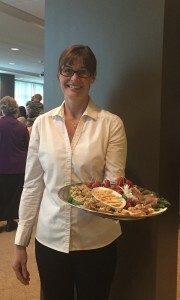 Erick is also a former teacher at Le cordon Bleu Paris cooking school (ottawa campus) where he taught the intermediate level : La Cuisine Régionale de France. 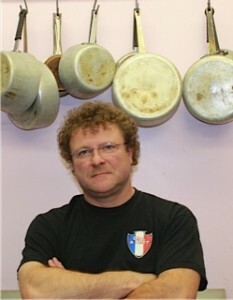 From 1997 to 2001 Erick hosted “Les fines gueules” and “Bouquet de saveurs” a diverting cooking show broadcasted on Rogers cable 23 Télé communautaire and on TF0. Robert (fils de) (left), comes to give a hand from time to time when his father gets busy. Debbie has been working with Erick for several years now. Debbie is always smiling!